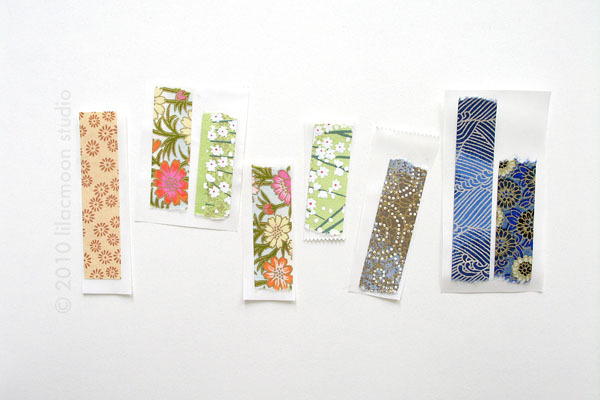 Inspired by the Merci x Liberty of London collection, I made some decorative tapes with floral paper scraps. After cutting the papers into 1.5 cm wide strips, I ran them through my Xyron sticker maker. I know, unlike the mt masking tapes, these stickers are permanent and it's not as hassle-free as tearing a piece of a roll of tape in any length you want, any time you want. But you can make a bunch of these with just a small piece of paper and stash them for future use. 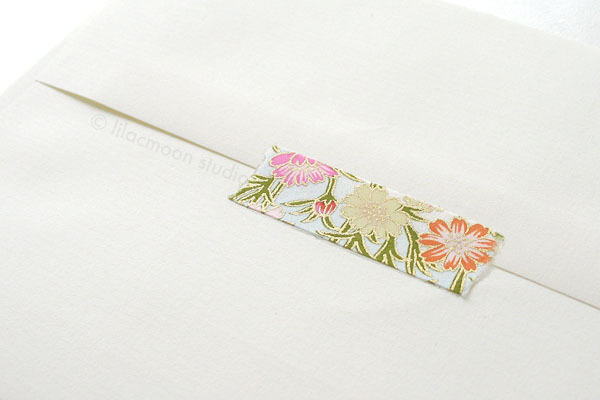 I tore the strips in random lengths, between 1-3 inches, so I can use them on envelopes whenever I'm sending cards or letters. Oh, and did you see this security envelopes stationery set over at A Little Hut? Hot! Thanks for linking to the security envelope post as well. The designs and ideas are so simple, and yet so elegant. Thanks, Valerie, for sharing these links! Your nengajos are so fun! How beautiful! This is one of those projects that I would love to do...but there's just no time. An update on the egg, please?!?!?! I'm dying to know!! Bonne idée... c'est très joli.